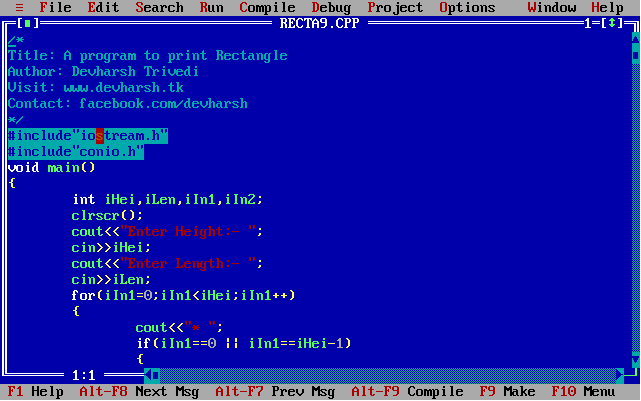 This program takes two inputs: height and length of desired rectangle and prints accordingly the rectangle on the console in the form of arterisk('*'). Hope you liked it. Share and Enjoy!